Check out these 18 Flowering Ground Cover Plants, you’ll find some best low growing plants on this list, they’re not only easy to grow but looks beautiful too. This old fashioned tough and aggressive perennial ground cover is a good choice for gardeners who want to grow low maintenance plants. 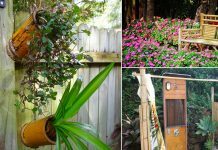 The plant barely grows up to 1-1.5 feet tall and loves the sun. Blooms appear when the weather warms up in colors like pink, red or pale pink with interesting variegated foliage. 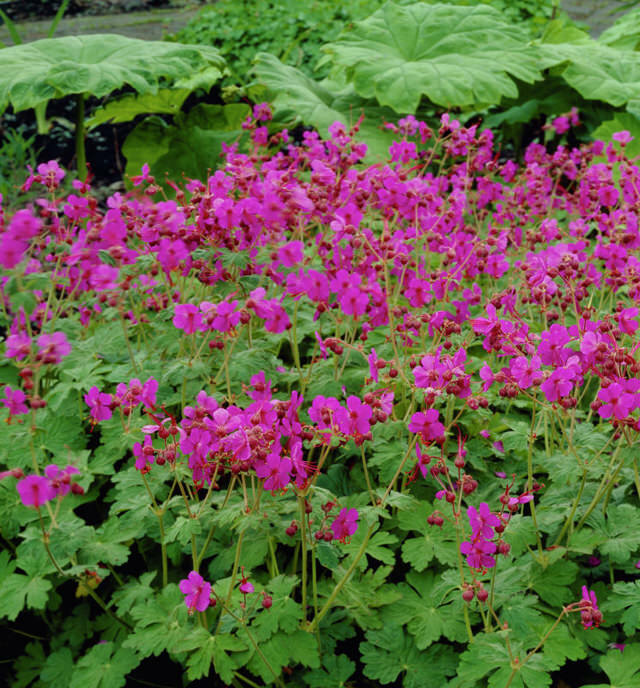 You can also plant it in groups under the trees, the bigroot geranium is a drought tolerant plant and best grown in temperates under USDA Zones 4 to 8b. Dead nettle (Lamium maculatum) is notable for both its variegated foliage and its dense clusters of flowers, which appear in a variety of colors, including white, pink and purple (depending on the cultivar). This low growing plant can be grown diversely in different climates (USDA Zones 3-10), providing it cool, moist soil and shade to part shade. However, it must be noted that dead nettle can be invasive and considered as a weed by many gardeners. This pretty little plant with needle-like foliage and tiny colorful flowers looks absolutely stunning. It is an annual or perennial (*in warm tropical and subtropical climates) ground cover that spreads densely. The blooms come in yellow, pink, red, white, orange and many more colors. 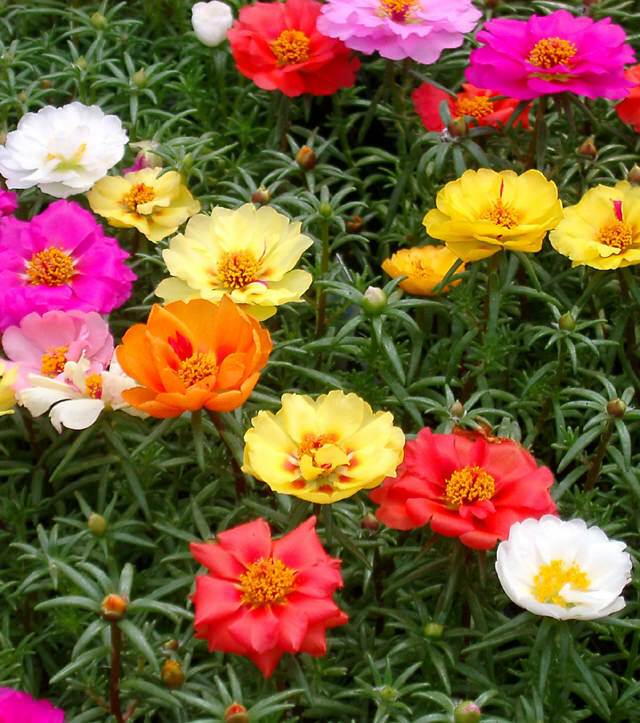 Moss rose is very tolerant of poor conditions and dry soil. 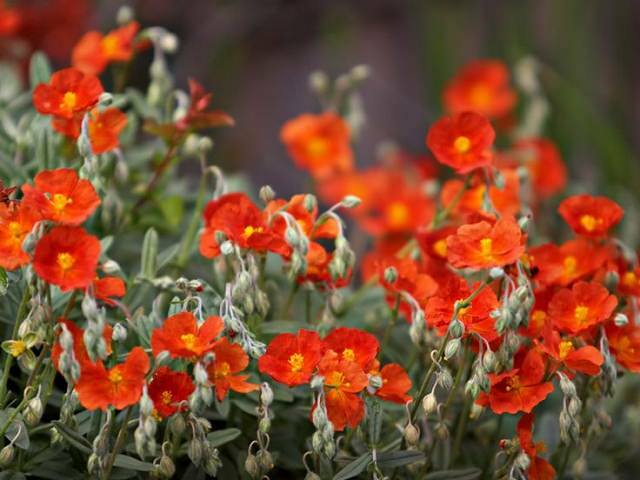 Also called ‘Sun Rose’ or ‘Rock Rose’, this subshrub comes from the family Cistaceae and barely grows up to 1 feet tall. 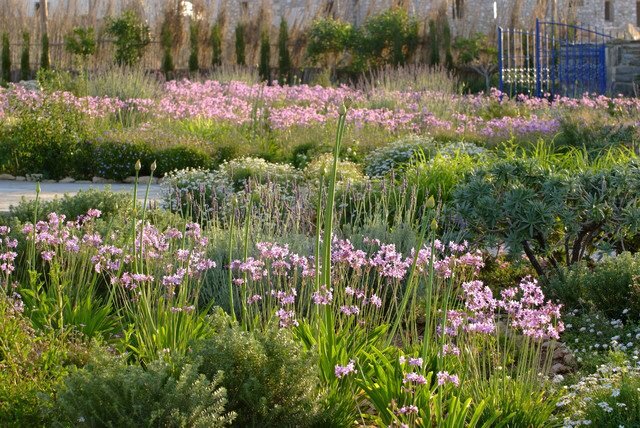 Providing a well-drained soil and full sun (part shade in warmer climates) it blooms happily. The showy flowers of this genus come in shades of orange, pink, yellow, scarlet, and white. There are some varieties available that bloom for a long time from spring to fall (autumn). Grows in USDA Zones 5-9, this plant usually dies back in the colder regions when the winter perks up, whereas in warmer zones it remains evergreen. Lilyturf is neither a grass nor a lily. 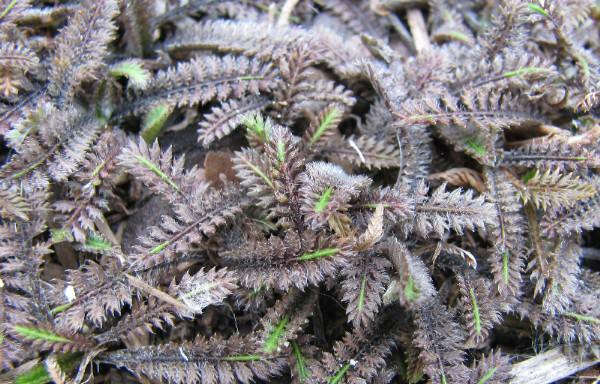 This showy and tough groundcover has lush and deep green, grass-like foliage ordered in slightly upright tufts. 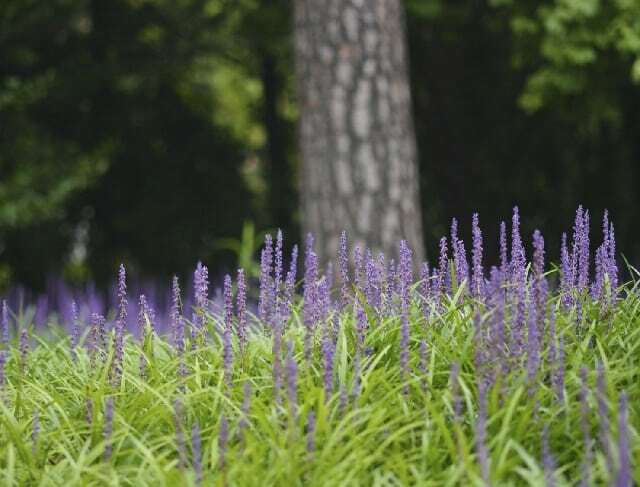 Spikes of violet or lavender color flowers appear from late summer until the fall. Lilyturf (USDA Zones 6-10) requires full sun in colder regions but in warm subtropical or tropical climate, you can grow it in dappled shade. It can be grown between tall shrubs and underneath the canopy of trees, also use it for edging walkways or as and a low border accent. Liriope ‘Muscari’ and Liriope ‘Spicata’ are two most popular varieties. 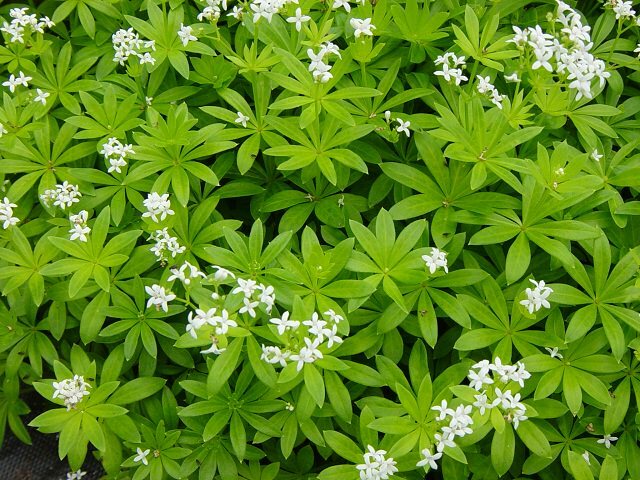 Sweet woodruff is an excellent ground cover if you want to add fragrance to your garden. Grows best in part shade to full shade and on well-drained soil, this plant can grow up to a height of only 8-10 inches (When in bloom). It starts to bloom prolifically from mid-spring, sweet woodruff leaves also release fragrance when crushed. Thymus serpyllum is a low-growing aromatic flowering herb that is perennial and hardy in USDA Zones 4-9. Just like other thyme varieties it is edible too. This tiny plant barely grows up to 3 inches tall. It is deer resistant and an amazing alternative of grasses. If you’re searching for a lawn substitute on which you can set foot without thinking much then consider growing brass button. It also forms yellow-golden flowers that appear from spring to summer. Brass buttons are hardy in USDA Zones 5-10 (but evergreen only in Zone 8-10), growing in temperates to subtropical climates both. 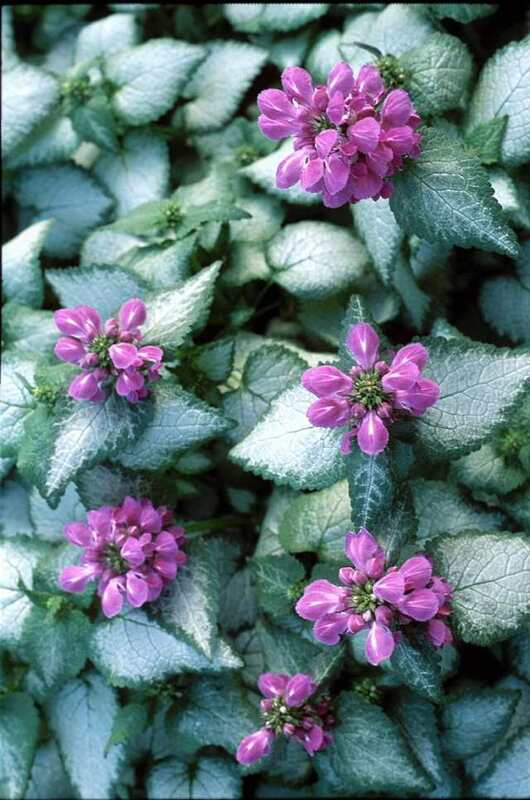 This ground cover has pleasant flowers that appear in pastel hues. 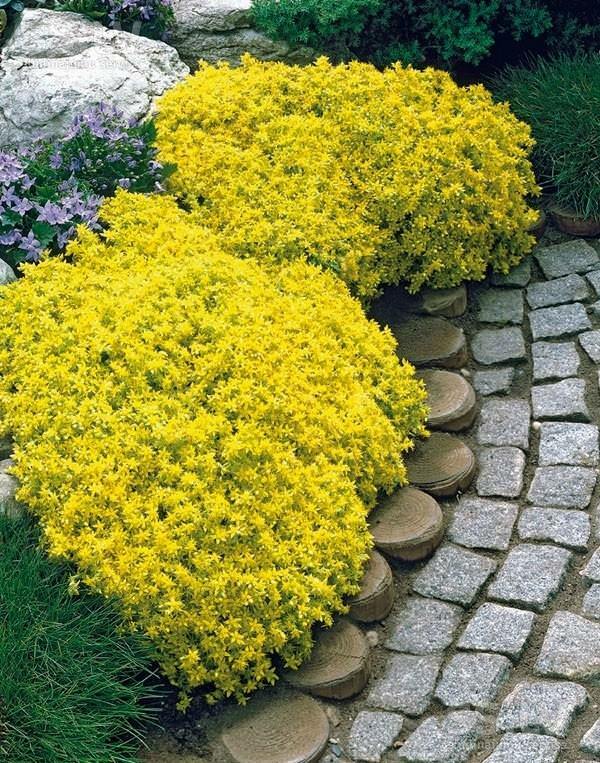 Growing this sturdy, low-maintenance plant is possible in USDA Zones 3-8, it is the plant that can be used in landscaping to hide the unsightly slope or other difficult areas as it rambles between rocks or cascades down. It can also be used as a bordering plant around the flowerbeds. The genus ‘Sedum’ has a diverse group of ornamental succulent plants, you can grow low growing sedums as a ground cover in full sun and well-drained soil. Yellow flowers appear in summer. The best thing about sedums is there are about 400 species of them around the world that can be grown diversely in every climate. 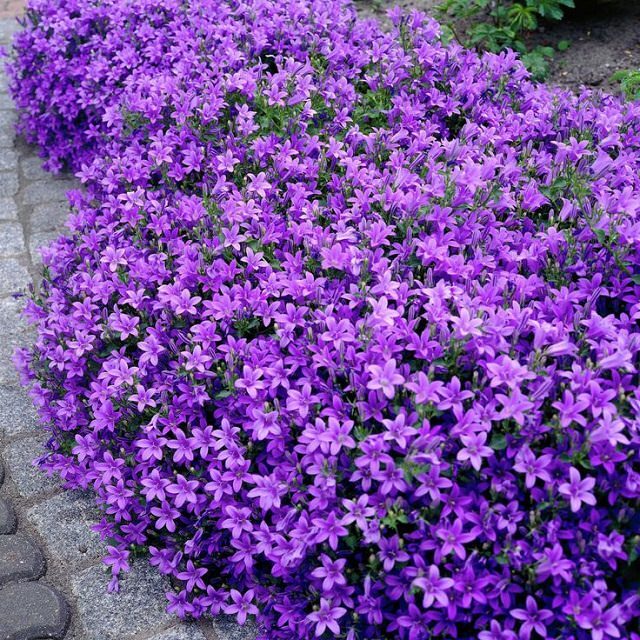 Campanula portenschlagiana or ‘Dalmatian Bellflower’ is a beautiful annual or perennial plant that forms a mat of small rounded leaves. 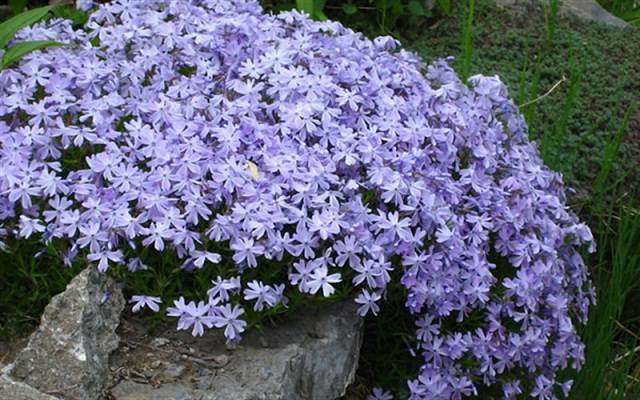 The flowers are star-shaped, blue-purple in color that blooms from spring through summer. Relatively cold hardy but requires shelter when temperature dips below much. It grows in full sun and in the part shade too, on a fairly loose, well drained and alkaline soil. 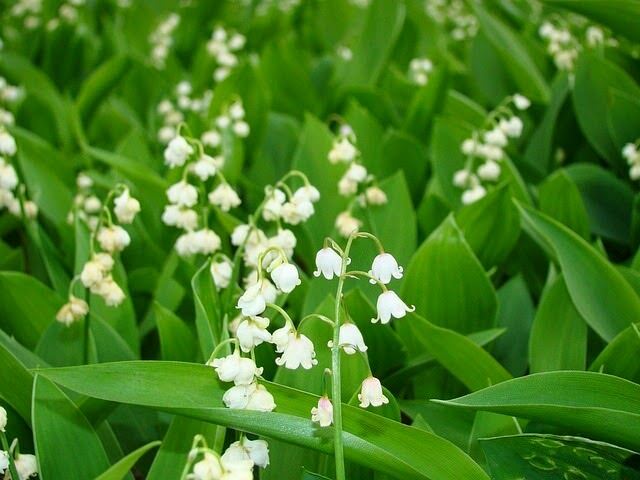 Lily of the Valley is one of the easiest and best flowering ground covers. Its fragrant little bell-shaped white flowers grow well in shade and have long blooming period. Growing lily of the valley plant is possible in cool temperate zones in USDA Zones 2-9. One of the most popular groundcovers, it is a hardy plant in both cold and warm climates under USDA Zones 4-10a that spreads quickly. It blooms prolifically, is easy to grow and tolerates poor soil and drought. 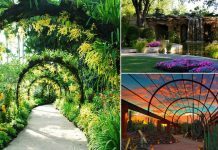 Provide it full sun in the cold climate and part shade in warm climates. This low growing beautiful perennial blooms from summer to fall. Good for country style or cottage style garden and also suitable for containers. 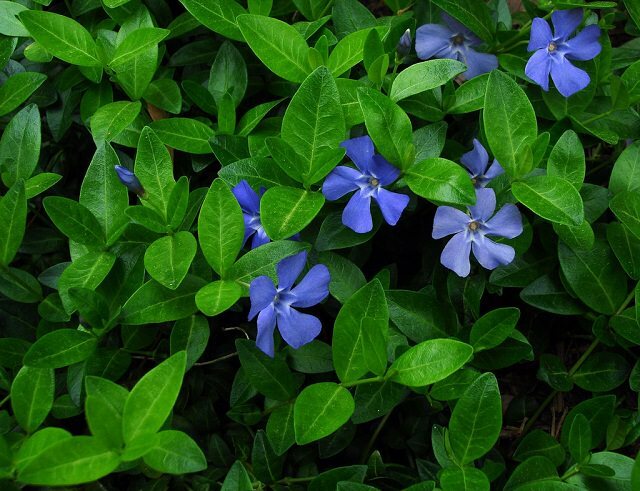 With its spiky blue blooms, it looks good with bright green foliage. 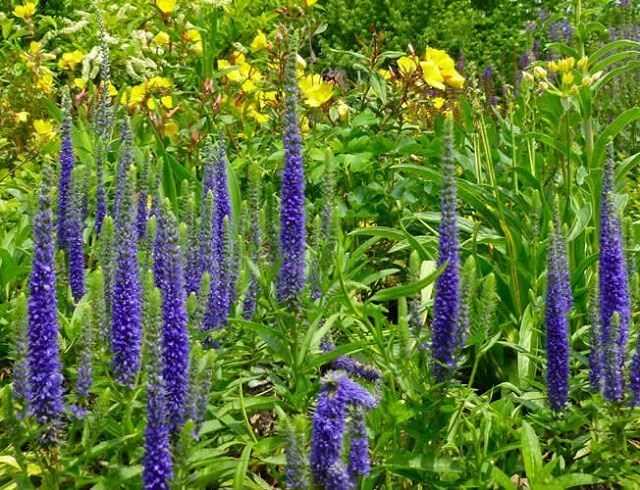 Veronica ‘Goodness Grows’ requires full sun and regular but moderate watering. A warm climate plant that grows best in warm temperates, subtropics, and tropics (USDA Zones 8b-11). 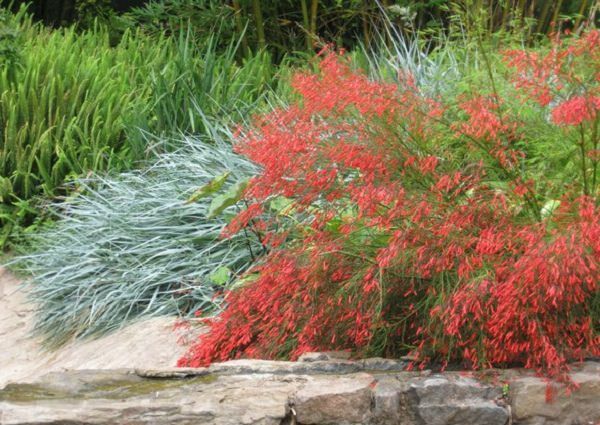 This drought tolerant plant is loved by nectar-feeding species of birds, and by butterflies. Fluffy, errant and wispy stems and foliage cascade down and camouflages the unsightly areas. It is suitable for slopes, borders, retaining walls and containers too. 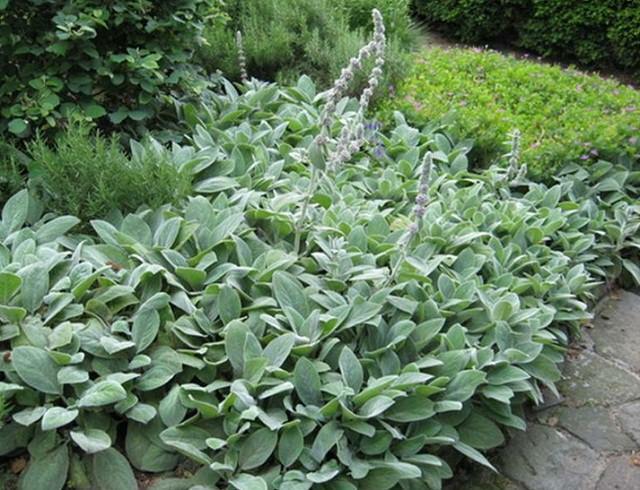 One of the best flowering ground cover plants on our list due to its thick attractive silver-grey-green foliage that forms gentle and velvety rosettes, not only the foliage, its purple colored flowers that appear from late spring are appealing too. This excellent edging plant only grows up 12 inches tall in part sun to full sun under USDA Zones 4-9. Society garlic (Tulbaghia violacea) is also known as ‘Pink agapanthus’. 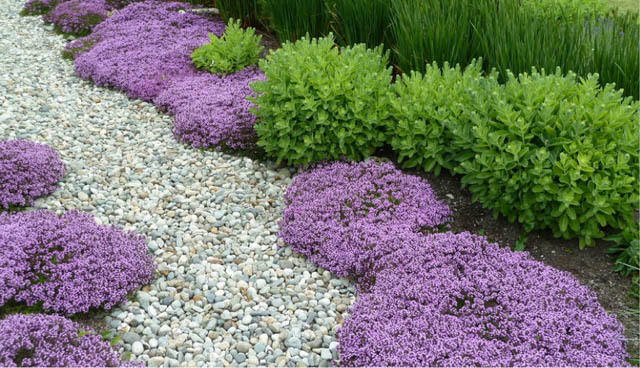 With its edible garlic-flavored purple flowers and clump forming grass like blue-grey foliage, this tough and low maintenance ground cover is a good option for those who live in warmer climates. Suitable for warm temperates, subtropics and tropics under USDA Zones 7-11. Ajuga, which is also called ‘Bugleweed’ is a genus of perennial or annual flowering plants. It becomes an excellent ground cover, sometimes invasive. Many of its species are very popular, especially ‘Ajuga reptans’ that spread through its runners, having attractive foliage that forms a dense carpet-like mat and deep blue flower spikes. 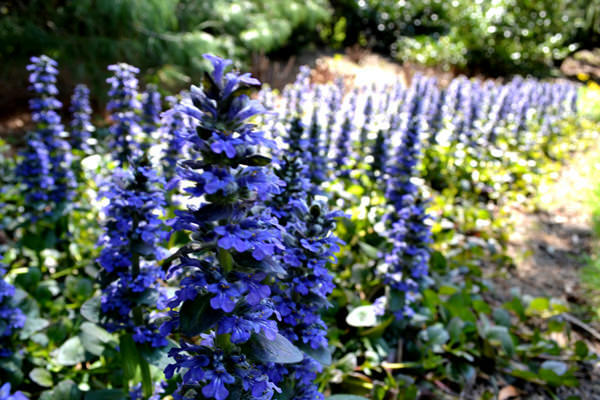 It is possible to grow ajuga in both cold and warm climates (USDA Zones, 3-10). Any good nursery should have most of them. Would be nice if this article also had Latin names of the plants. Thank you. Maybe you can look up the spanish version of the plant you are interested in on the internet. Good luck! The use of large clear images here is a plus, but thumbs up to GrowInFlorida for suggesting including botanical names on a plant-related web site. Using common names is a terribly inaccurate way of “identifying” flora OR fauna. Sadly, even many nurseries and seed sellers are dumbing down their sites by only using common names and that bodes poorly for educating laypeople and novice gardeners. I love ground cover flowers especially in the areas that I have trouble growing flowers. Great article. Just what I needed to help me decide what to plant. I have various campanula varieties, including the one in the above article. It’s the first season. They didn’t perform as I expected. I have read to cut back after flowering which I tried with one that I purchased in a large container from a non-greenhouse company. It didn’t take to being cut back. I had to place it in a pot in order for it to restablish. Which it did but not very good. Out of the 4-5 different varieties I had, blue waterfall performed the best. 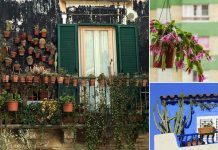 How many plants are needed to cover the amount of area in the above picture. I understand that perennials don’t perform to their full potential the first year. Although, mine barely flowered nor grew much. I had some in good soil and a few in sandy soil. Any suggestions on what I should do if they survive a Boston Winter and do you advise to trim back after flowering. If so, how should they be cut back. I found it difficult to cut these plants back.